So Robert Mueller‘s report has been filed. As I write this, we are still waiting for Attorney General William Barr to reveal what he calls its “principal conclusions” to leaders of the judiciary committees in Congress. Whether those turn out to actually be “conclusive” remains to be seen, but it’s safe to say that whatever Barr conveys to Capitol Hill will not provide the level of detail about the outstanding questions to which the public deserves to have answers. 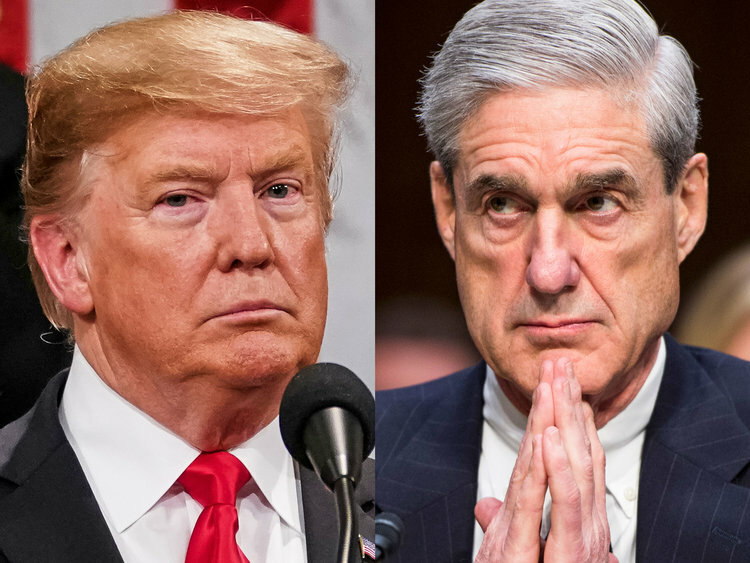 The Department of Justice has reported that there are no new indictments forthcoming from the special counsel’s office, which many people assume means that Mueller concluded that Trump and his inner circle did not collude with Russia during the 2016 election campaign. That is incorrect. We know that the DOJ has determined that sitting presidents can’t be indicted. That’s not settled constitutional law, but it is a federal policy that Mueller was bound to observe. So the lack of charges against President Trump doesn’t mean much. But the conventional wisdom at this moment holds that if there had been any proof of conspiracy, Donald Trump Jr. and Jared Kushner and perhaps others would have been indicted by Mueller’s team, so the evidence of conspiracy must not be there. That may be true, but we don’t know that at this point, and don’t know why Mueller may have reached that conclusion, without seeing the details of the report. The fact that there were no indictments in a counterintelligence investigation would not in itself be unusual. The purpose isn’t prosecution — it’s fact-finding and removing the threat. Not all threats are criminal. For instance, people who might be unwittingly compromised could have their security clearances withdrawn or be fired from a government job, even though they haven’t necessarily committed a crime. If someone who is a serious threat to national security has committed other crimes, the feds might choose to indict him or her for those other offenses, rather than the ones that might expose national security secrets. There are several people enmeshed in this Trump scandal for whom those examples might serve. As I wrote the other day, regardless of whether all of this is explained in Mueller’s report to the Justice Department, by law he will have to report his findings to the intelligence committees, just as former acting FBI director Andrew McCabe was obligated to inform the “gang of eight” congressional leaders that he was opening the counterintelligence investigation in the first place. We already knew there was next to no possibility that Trump himself would be indicted while he’s in office. That has long been his get-out-of-jail-free card. But none of that means that the information gleaned from the counterintelligence investigation won’t implicate Trump and his cronies in a Russian plot to disrupt the election. It may be, for instance, that it wasn’t a criminal conspiracy, just a monumental lack of basic ethics and a case of massive stupidity. After all, there is evidence of collusion already in the public domain. We know that Donald Trump was aware in the summer of 2016 that the Russians were hacking into his rival’s emails, and he egged them on in public. He has continued to deny that they did it, even to this day. Trump was thrilled to have Vladimir Putin on his side and believed that made him some kind of foreign policy genius. There was a time when Republicans would have been hysterical at the prospect of a presidential candidate being so accommodating to foreign interference, especially if the Russians were involved. But Trump‘s behavior has been completely out in the open. We’ve watched it unfold in real time and virtually the entire Republican Party thinks that’s perfectly fine. We also know that Donald Trump was compromised. It’s been revealed that throughout the first half of the campaign he had Michael Cohen, who was then executive vice president of the Trump Organization, along with Donald Trump Jr. and Ivanka Trump, working on a potentially hugely profitable deal to build a Trump Tower in Moscow. This was an outrageous thing to be doing at all while running for president, but he made it much worse by lying about it in public for many months well into his presidency. If you want to know why that was such a risky thing to do, just look back at the case of Michael Flynn. Exactly the same dynamic existed between Russia and Trump: They knew he was lying about having no business in Russia, and Trump knew they knew he was lying. He was downright obsequious toward Putin during the campaign, likely still hoping to get the “Moscow project” built if he lost the election (as he fully expected to). Once he won, Trump was seriously compromised. His behavior toward Putin as president, the private meetings and the submissive behavior in Helsinki all point to Trump‘s knowledge that the Russians had leverage over him. For all we know, that’s not the whole story. Indeed, that’s likely just one of the compromising lies Trump has told that has become public. He lies all the time. Those are just two examples of Trump‘s corrupt and unethical behavior toward Russia. Neither of them is likely prosecutable, even if Trump weren’t protected by the Justice Department policy that holds a president can’t be indicted. It’s a national security problem for which the only remedy is to fire the president — aka impeach him or defeat him at the ballot box. Sadly, since all this is already on the public record, if it hasn’t convinced Republicans that the president is a serious threat to the nation it’s hard to imagine what would change their minds. Nonetheless, Congress must pursue this no matter what Mueller decides. Whatever Barr chooses on Sunday or in the days ahead, it will be largely up to the Democrats on Capitol Hill to pursue all the open questions — and there are many of them. Public hearings are essential. There is so little trust in government institutions in America at the moment that it’s vitally important that the public be able to see and hear directly from the people involved in this investigation. Whether Congress holds impeachment hearings or simply does the oversight that was so sorely lacking in the first two years of Trump‘s term, the people of this country can’t hold another presidential election without knowing what happened in the last one. A democracy can’t function like this.